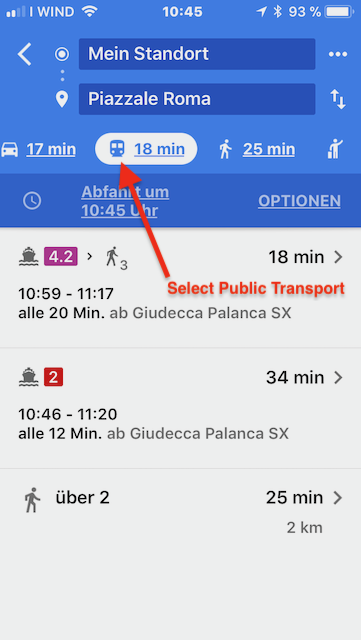 Reaching the apartment with the public transport is easy: only 2 minutes walk from the vaporetto stop Palanca (if you come by car or train). The no. 2 boat leaves roughly every 10 minutes all day long. 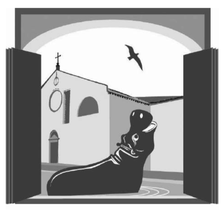 - S.MARCO (S.ZACCARIA) 12 min. - TRONCHETTO (Parking) 19 min. - P.ROMA (Airport bus) 29 min. - FERROVIA (Railway station) 33 min. please refer to ACTV for details about any changes or restrictions. 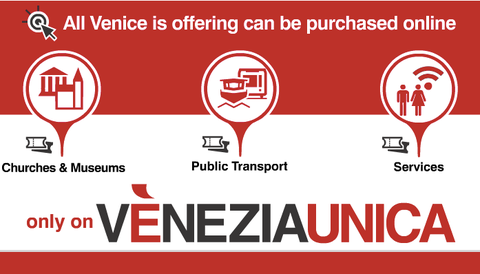 If you are arriving from the VCE airport, take the airport bus to Piazzale Roma (or Tronchetto) in Venice and then the vaporetto no. 2 towards San Marco and disembark at Palanca. An alternative (but much slower and more expensive) is the Alilaguna Linea Blu to the Hilton Stucky. From there you walk about 5 minutes to the apartment; see map. During the winter, the Alilaguna does not stop at the Hilton Stucky so you must get off at Zattere and then take the vaporetto no. 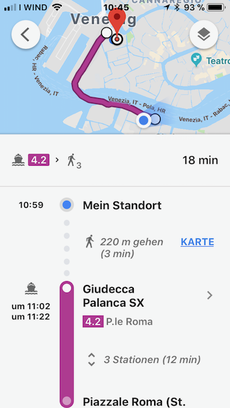 2 to Palanca (just one stop in the direction of San Marco). Check the Alilaguna site for latest information. The costs are usually in the range of € 120-130 for up to 4 passengers with a € 10 surcharge at night. Please check details at the airport. The pier is approx. a 10-minute walk from the airport terminal. 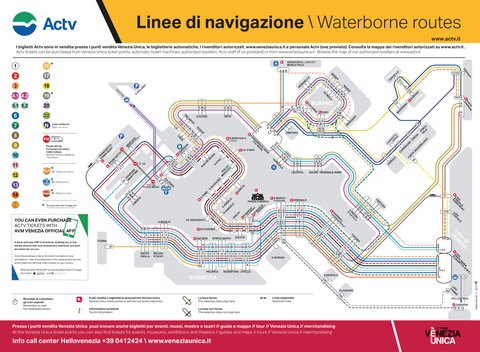 If you are arriving from the TSF airport, take the ATVO bus to the Piazzale Roma in Venice and then the vaporetto no. 2 towards San Marco and disembark at Palanca. The Terminal Venezia Passeggeri or Venice Cruise Terminal is located near the 4-km causeway that links the historic city with the mainland. It consists of two main areas: the Marittima basin, which can handle the largest ships that call in Venice, and the San Basilio pier, which is just around the corner in the Giudecca Canal. 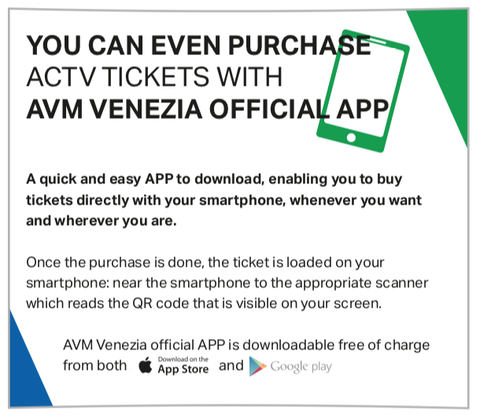 Download the app via the Apple App Store or Google play.